The special traditional wear Cycle Rally of 5K was organised to encourage women to take up fitness regardless of their attire. 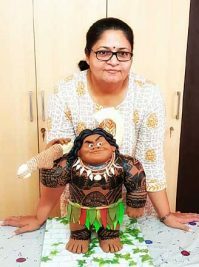 Hyderabad: It was a busy Sunday morning for health enthusiasts in the city with a clutch of organisations holding 5K runs, health walks and cycle rallies aimed at raising awareness for a novel cause. 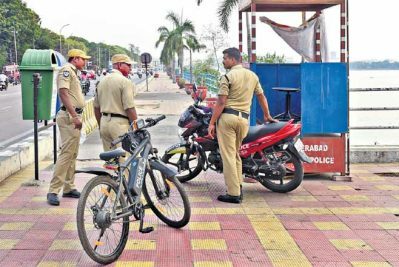 Over 6,000 persons turned-up at Saroornagar police stadium on Sunday morning to take part in the 5K run, organised by Yashoda Hospitals to spread awareness on cancer. The 5K run was organised to mark World Cancer Day and was aimed at spreading on the ailment and the importance of early diagnosis. 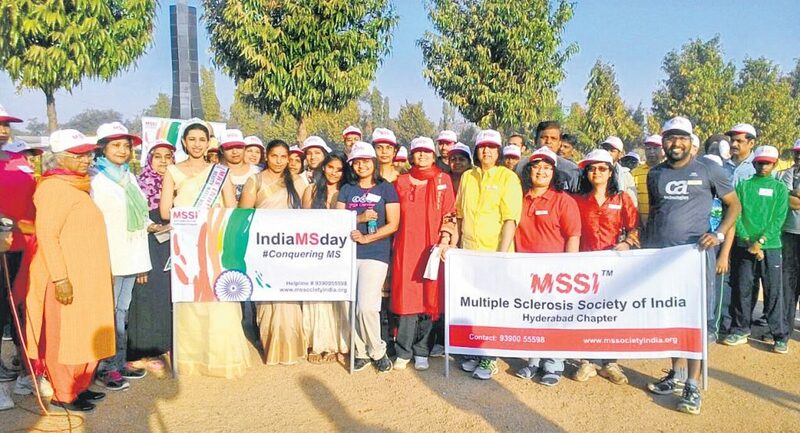 Multiple Sclerosis Society India (MSSI) Hyderabad Chapter organized a health walk to create awareness about MS disease at Parade Grounds, Secunderabad. The aim of the walk was to create awareness on MS and the society has supported those patients on the occasion. Startup Leadership Program (SLP), a global network for leaders and innovators in Startup space collaborated with Pratyusha Support and Sankalp, to organise ‘SLP 5k RUN-2018’ at from IIIT, Gachibowli. The 5K run was based on the theme ‘Educate a Girl Child’ and was aimed at creating awareness and raise funds for education and welfare of girl child and women. Colors Pinkathon in association with ‘Cykul’ conducted traditional wear cycle rally at Gachibowli Stadium. The special traditional wear Cycle Rally of 5K was organised to encourage women to take up fitness regardless of their attire.